Samsung’s Harman group is playing the field, building smart speakers with Alexa, Google Assistant, and Cortana. Alexa, you’re no longer the only smart speaker with a display. JBL is moving in on your turf with the Link View, a voice-controlled speaker that combines Google Assistant with an 8-inch touchscreen. 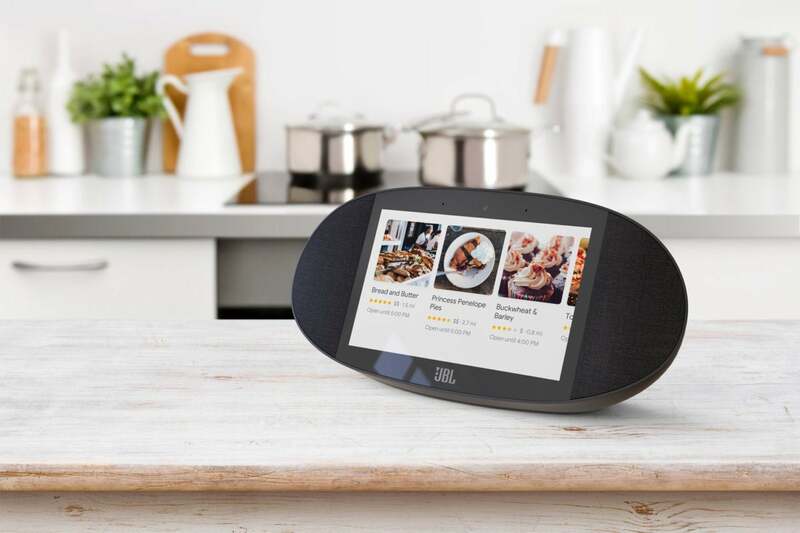 The View joins four existing but screen-free smart speakers in the Link line that also feature Google Assistant. The Link View has a pair of 10-watt speakers on either side of its display, augmented by a passive radiator mounted in the back of its elongated chassis. A 5-megapixel camera resides above the display and can be used to display photos, movies, and—of course—YouTube videos (hmm, Google’s blocking YouTube on Amazon’s Echo Show and Echo Spot suddenly looks a lot different now). The speaker can also be used for video calls. The Chromecast-compatible speaker can also be configured to operate in a multi-room configuration with other Link speakers. Users will be able to cast to the speaker as well as stream music via Bluetooth and Wi-Fi. It’s capable of decoding high-resolution audio up to 24-bit, with sampling rates as high as 96kHz. Clearly designed to be used indoors, the View is rated IPX4, which means it’s protected only from splashes of water. The batter-powered Link 10 and Link 20 are both rated IPX7, meaning they can be temporarily submersed in water. A Google Assistant-powered smart speaker with a display could be a game changer for Google, and no one predicted that it would happen this soon. Your move, Amazon.